We’ve got a special screening for you Berlin! 22nd November 2018 at 19:00 in NYimB. The short film artistically and convincingly conveys the perspectives of young women* activists on the labour market. After the video there will be an opportunity to ask the questions to people, who took part in the movie and chat about our favorite topics – money, labour market, neo-liberalism, capitalism, unemployment, retirement and many many more. 1. Common understanding of nationalism. 2. Analysis of the negative impact and consequences of national identities. 3. Critical reflection on internalised attitudes and behaviours. 4. Designing personal and collective action to counter the negatives of nationalism. We’re really excited about a Rebecca Solnit text and we would like to share it with you at this week’s Reading Circle. Come gather with us on Thursday 8.11. at 19:00 at NYimB (as usual!) where we’ll discuss ‘Protest and Persist: why giving up hope is not an option’. Topic suitable for optimists and pessimists alike. 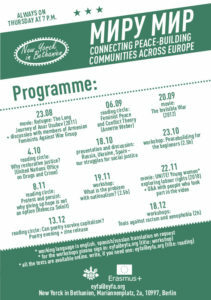 The first workshop facilitated by EYFA EVS volunteers will take place on next Thursday – the 23rd of October. Title: Peacebuilding for the beginners (2.5h). answer the question – what is peacebuilding? define the conflict, power and empowerment. All 3 of our EVS volunteers invite you to this international evening on Thursday, 18.10. in NYimB. We’ve got their unique perspectives on the social justice movements in Russia, Ukraine and Spain. It’s gonna be an evening packed with content, so please come on time! We’ll also make space for questions and discussion, so bring your curiosity too! The long-awaited video glossary is ready and we think it’s beautiful! This movie was shot during international FLTI youth exchange “Unite! 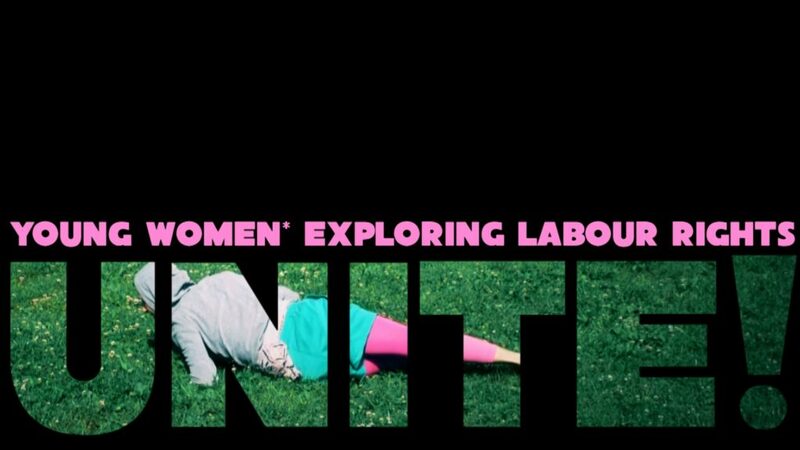 Young women* exploring labour rights” and reflects a mixture of theoretical content and personal experiences of isolation and alienation of the precarious life under neo-liberal capitalism. On Thursday evening at 7pm in NYimB, we’ll be discussing a text ‘Why restorative justice?’ We’re happy for diverse opinions and perspectives to take part in the discussion. Our EVS volunteers are excited to debate alternative approaches to justice! 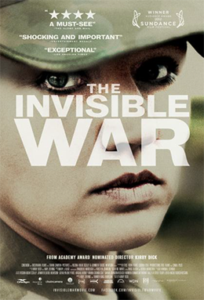 We’re screening the film The Invisible War (2012) tonight at NYimB at 7pm. There will be light snacks and a short discussion afterwards for those who are interested. See you there! 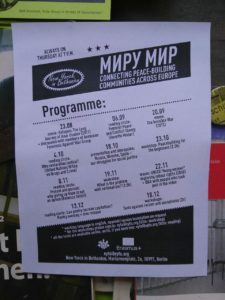 Join us this Thursday for the second event in the series ‘Connecting peace-building communities across Europe‘. This Thursday we’ll be discussing the text ‘Feminist Peace and Conflict Theory’ by Annette Weber together.